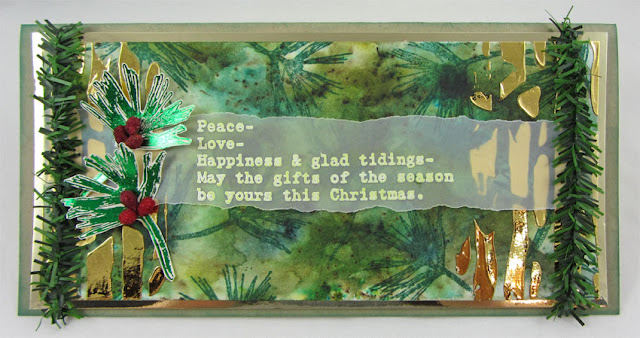 Hi everyone, it's Wanda Hentges with you today, and I'd like to share with you some Christmas cards using foil along with Sara's stamps and stencil. I've created for this post using just 3 of the many ways that foil can be used. I'm excited to see what the other designers are sharing for this topic and also to see the fabulous projects you all share!! 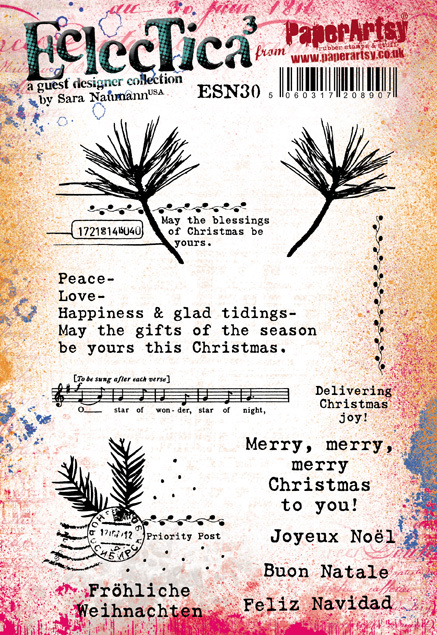 ... and the Sara Naumann Stencil (PS112) to make 3 beautiful Christmas cards. All the foil I used is Therm-O-Web iCraft Transfer Foil. They have many colors and patterns. When working with foil sheets always work with the color side up and the grey/silver side down. Another way to say it would be to always put the grey/silver side against whatever it is you are foiling. The foil is on a clear liner that you can see the color through. 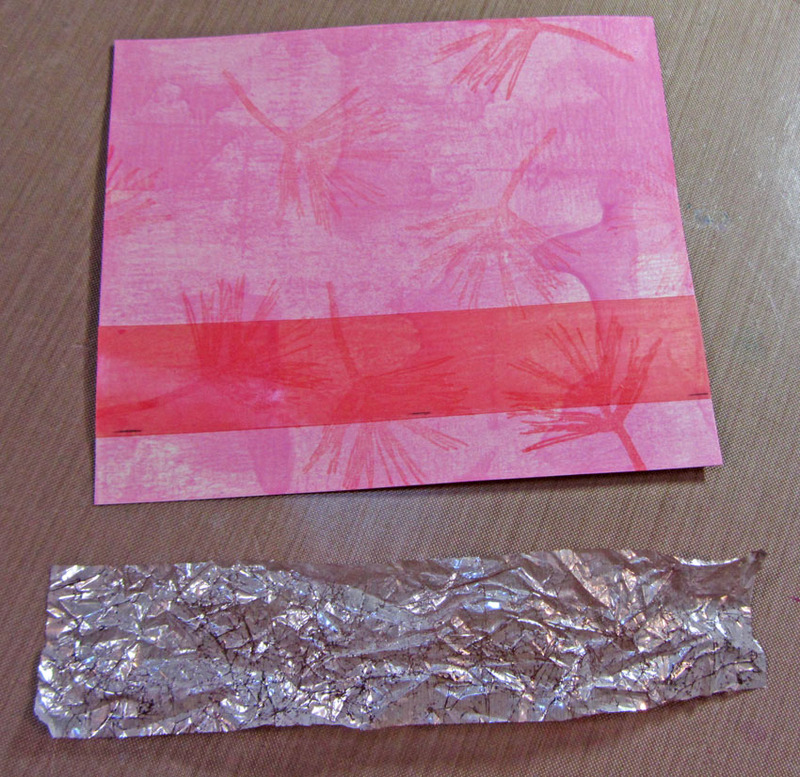 You want the foil to stick to your project, allow you to pull the liner sheet off. 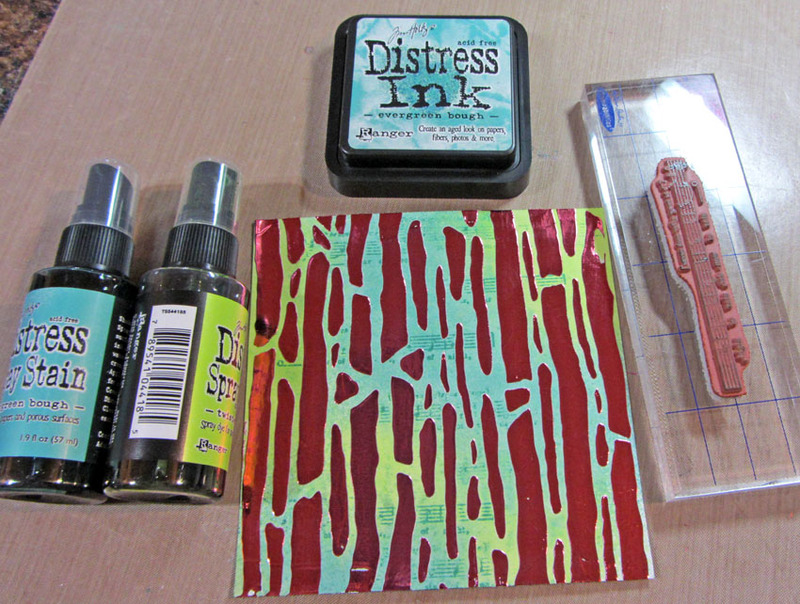 Using Deco Foil Transfer Gel through a stencil and then foiling using a heat laminator. You put the gel through the stencil just the same as using any kind of acrylic gel or paste and, as always, be sure to wash your stencil before the medium dries on it. Let the gel dry completely. Cut a piece of foil large enough to cover your paper. Cut a piece of parchment paper (non stick paper for baking/cooking) large enough to fold in half and place your paper and foil inside of the folded parchment. Let the laminator heat up and then run your "sandwich" through the laminator. Remove the paper and foil from the parchment and peel up liner leaving foil on all the gel areas. Isn't that gorgeous!!! I love this every time I do it!!! Yes, you may use other kinds of gel medium. 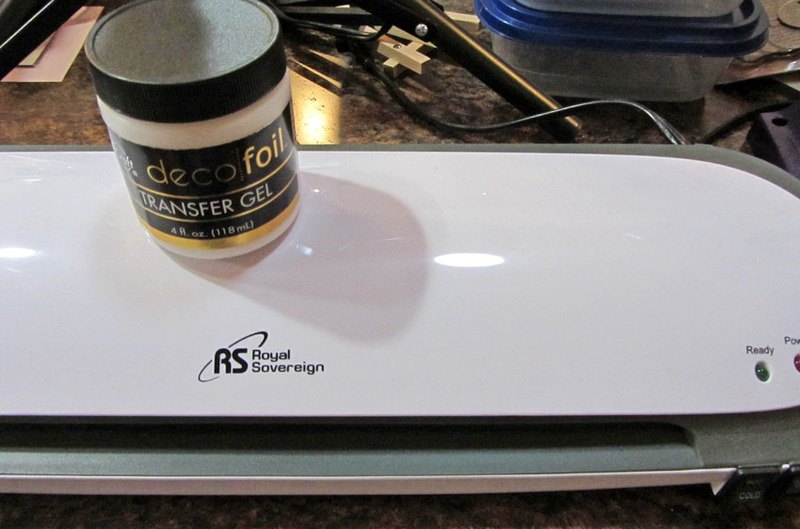 It does not have to be the Deco Foil Transfer Gel. 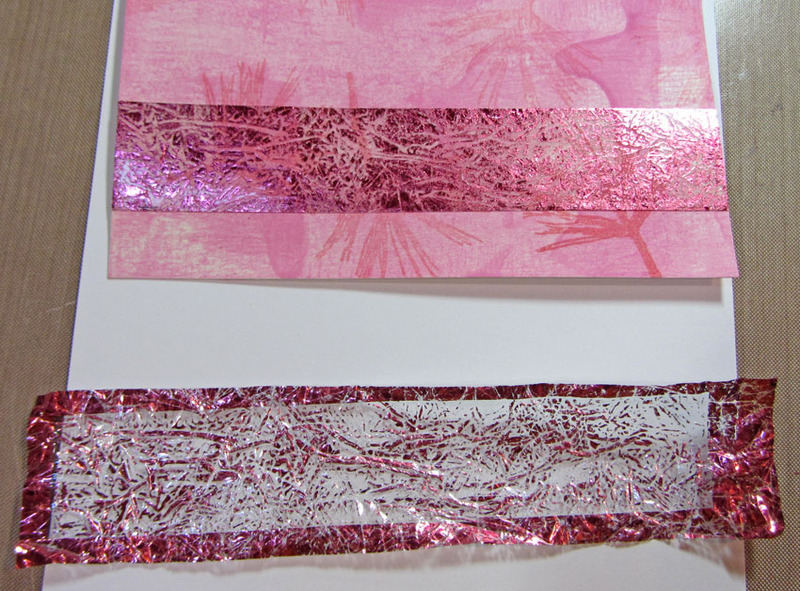 If you don't have a laminator, you could also try using an iron to apply heat allowing the foil to stick to the gel. 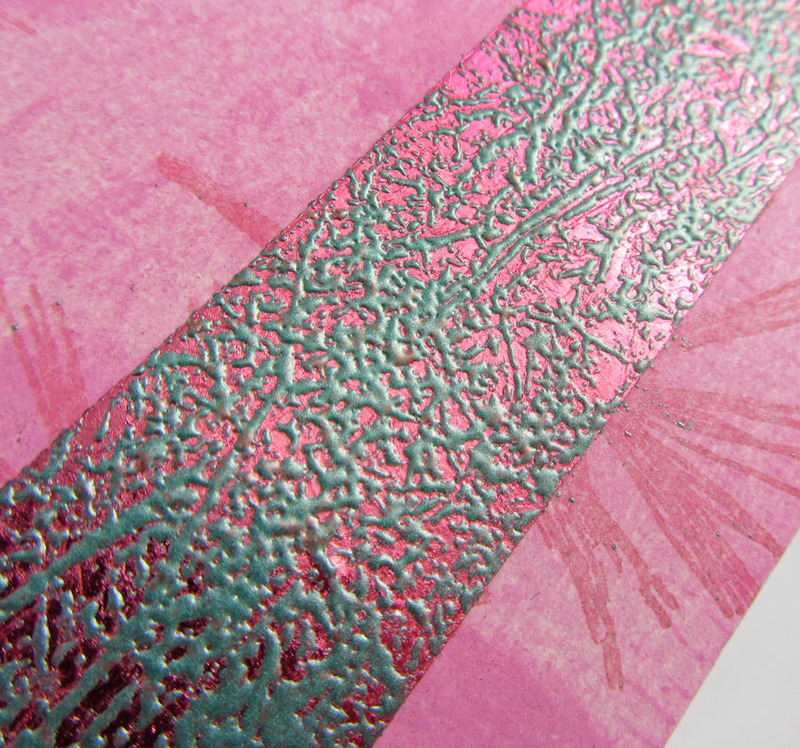 A note about using a laminator... with a laminator you can also foil a printed design. Print a picture or words with a Laser Printer (it must be a laser printer, because it is the toner ink that needs to be deposited on the paper) and foil what you've printed in the same way I foiled the stenciled gel. Like magic, your foil will stick to the printed image/ words. This is really useful for words, or greetings on Christmas cards for example. Very professional! I wanted to be able to stamp and then foil. 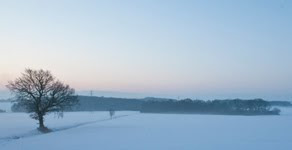 Yes, there are "sticky powders" out there and I have used them, they are wonderful. But I thought I'd see how Duo Adhesive (USArtQuest) would stamp up. I've had my bottle for many years. 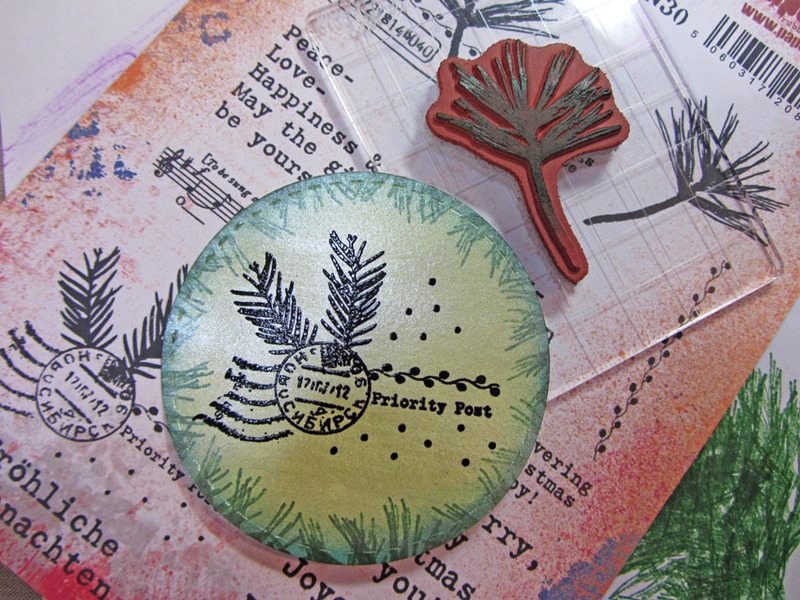 I put some on my Craft Sheet, spread it with my finger, tapped the stamp into it and then stamped on my paper. The adhesive is white to begin with. As it dries it turns clear. When it is all clear it will be sticky, but don't touch it. Touching it will remove some of the tacky and you don't want to do that. Press your foil onto the adhesive, burnish well with your fingertip, lift off the liner leaving the foil behind. I stamped the Pine Bough 3 times. The first two stamping didn't fill in the center but the 3rd one did (yes, my picture is out of order). 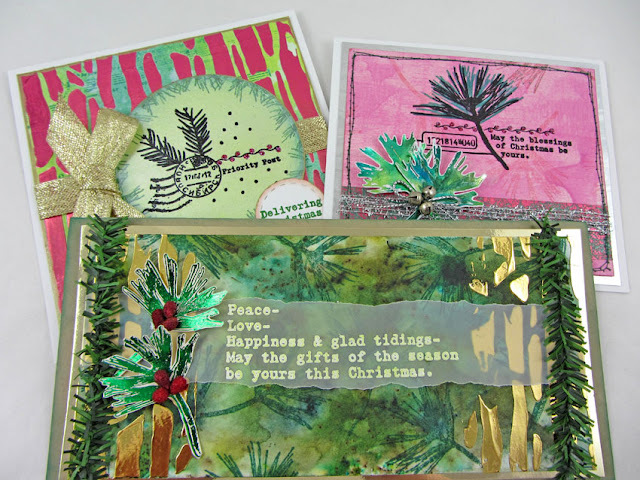 I foiled two of them with Emerald Watercolor Transfer Foil and the other one with Amber Watercolor Transfer Foil. If you have open areas you can leave as is or add color with ink, paint, etc. 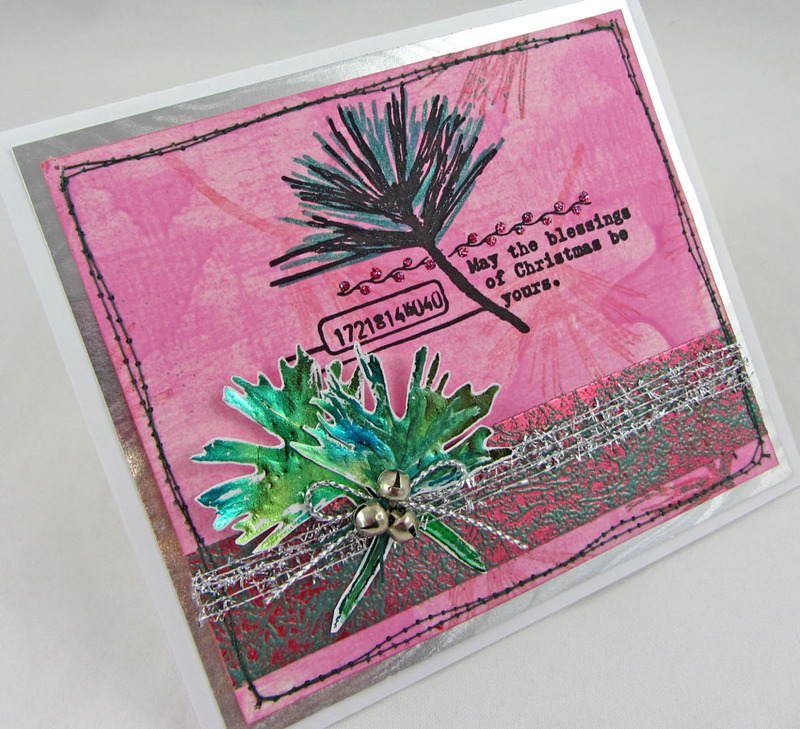 The advantage of this method is you can also use more than one colour foil to get a more variegated effect. Great for those foil scraps. 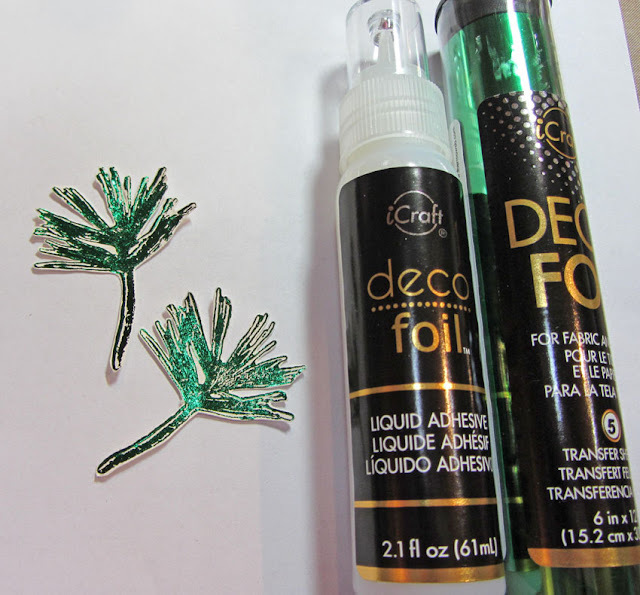 I decided to also try the Deco Foil Liquid Adhesive I'd gotten. I hadn't yet used this. 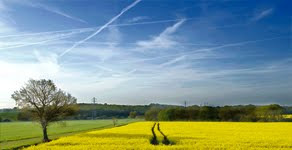 The consistency is thicker and more clear to begin with than the Duo Adhesive. 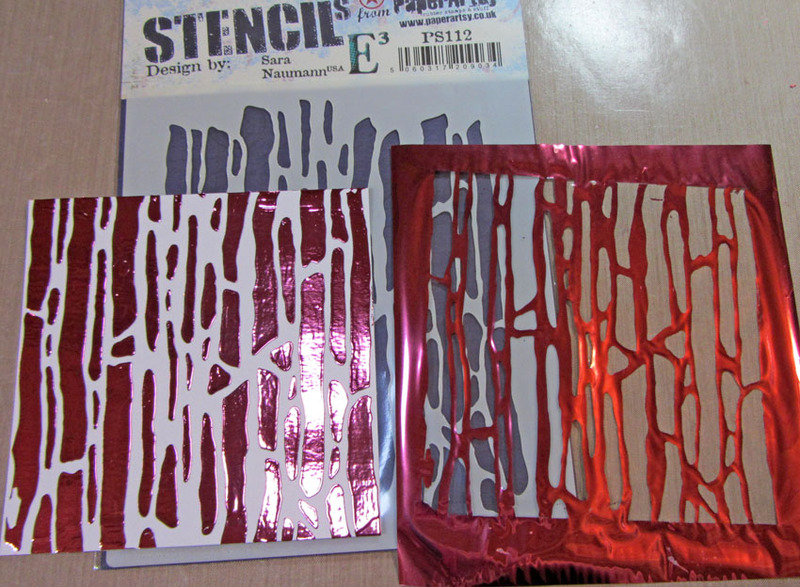 I used it in the same way, put some on the Craft Sheet, spread with finger, tap in stamp and then stamp onto card. I stamped some Pine Boughs and set them aside to dry. I didn't actually get back to them until the next day. As with the Duo Adhesive, you are supposed to just press the foil on and remove the liner. I couldn't get much foil to stick just pressing well with my finger so I thought maybe it had to be laminated. I put them through the laminator with Green foil and they came out beautifully. I watched a short vid online right before writing up this post and they just burnished the foil onto the adhesive. They did have to burnish well and I was only pressing with my finger which could be the issue, but I love how it came out using the laminator. The foils can completely cover tape. You just press them on and peel off the liner. I thought I'd step it up a notch though. If you are going to just use foil on the tape you can use any kind of tape, but specifically for the technique I'm sharing, you must use a tape that is heat stable - a tape that you can emboss on. Usually those tapes with the red liner are heat compatible, but do a test first. After working up a background I placed a piece of Double Stick Tape across the paper. The tape I used has a red plastic liner on it. Back in the day we referred to this tape as "redline tape" no matter what "brand" it was. It still comes in all kinds of thicknesses, and the red line also tends to indicate the tape itself is very strong, so super sticky. I cut a piece of foil large enough to cover the tape. I then crumpled the foil very, very well.... crumple, open, crumple again, etc. Next you take the liner off the tape, place the foil onto the tape, rub down with your fingertip, and then pull up the liner. You are left with foil covering some of the tape, but not all of it. 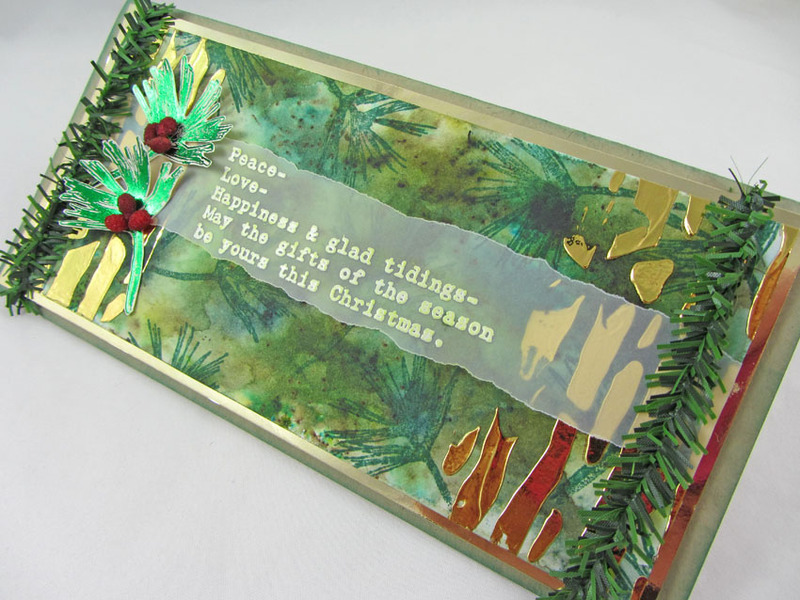 Choose a color of Embossing Powder, I used Seth Apter's Patina Oxide EP, pour it over the tape, tap off the excess and then heat the powder that will then sticks and melt onto the tape. Doesn't that look fabulous!!!! 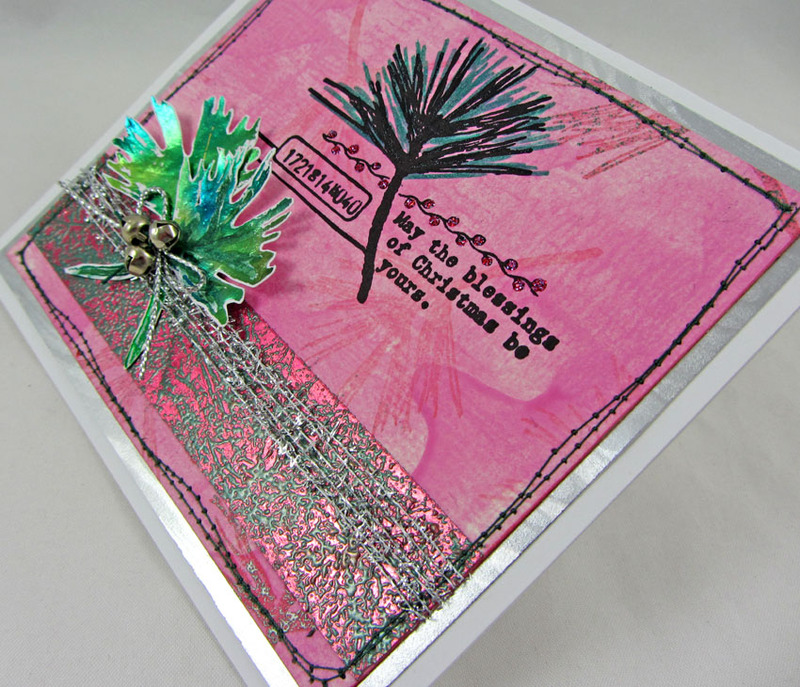 With all the colors of foils and embossing powders out there you can really have some fun!!! How much you crumple the foil will affect the foil to embossing powder ratio, so there are many looks to be had. Instead of crumpling you could try making folds for another look. On the black stamped collage image I added color to the bough with Distress Marker and also a glitter gel pen (hard to see in the picture). I dotted Stickles (Fairy Dust) on the Berry Vine. In the background is Infusions (Emerald Isle, Green Man, Slime, Olive Tree, A Bit Jaded). 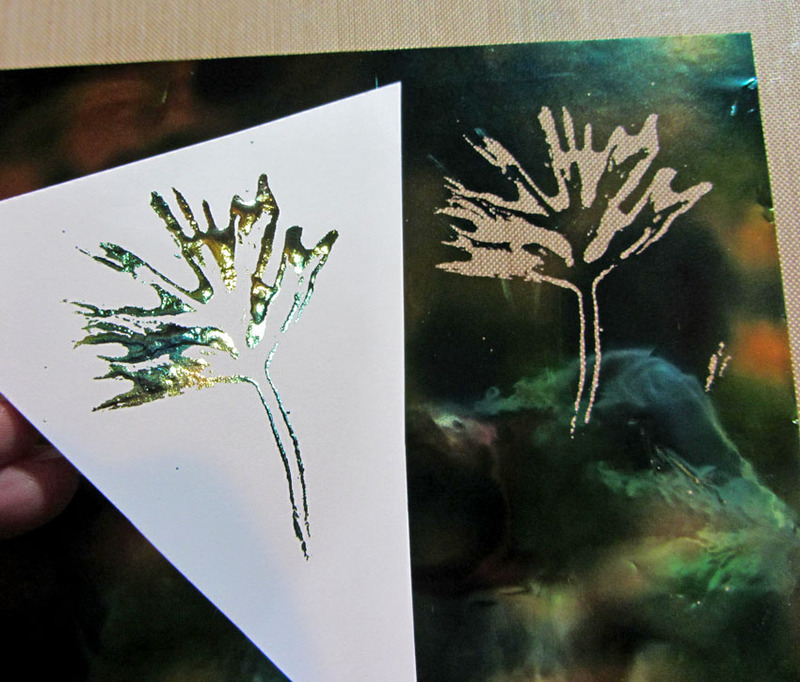 I added gel through the stencil just at the ends, let dry and then foiled with Gold foil. 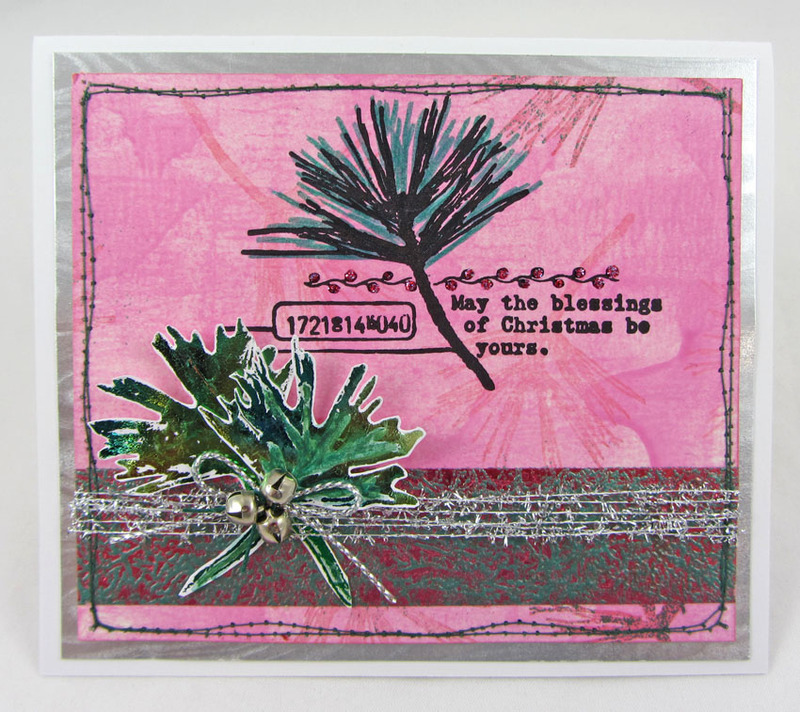 Then I thought I should have added stamping to the background so stamped the bough with Distress Ink which allowed me to easily wipe it off the foil. The sentiment is stamped and embossed onto Vellum. I embossed it with white but then decided it was just too white so lightly rubbed over the embossing with chalk to tone it down. This is the piece that I foiled at the beginning of this post. I added color and stamping with Distress products so that I would be able to easily wipe it off the foil. 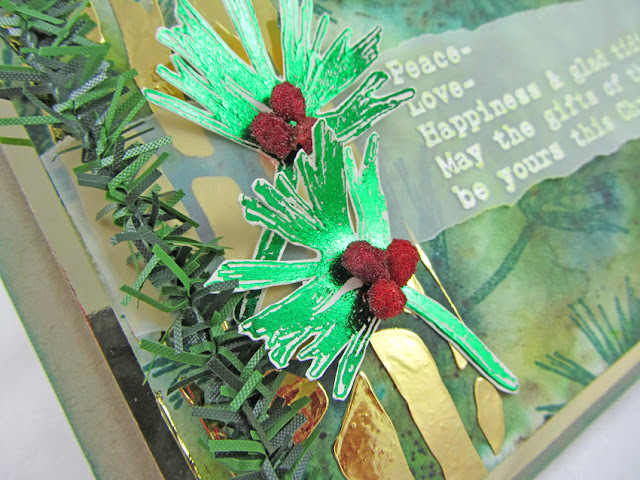 For the main image I washed on Gansai Tambi Pearl Colors watercolor to white card, dried it, stamped and embossed the image, die cut the circle, and stamped the tips of the Pine Bough around the edges with Archival Ink (Emerald Green). I again used Stickles (Fairy Dust) on the line of berries. It looks so good on there!!! I edged the circles and the background with Fresco Finish Metallic Acrylic (Gold). 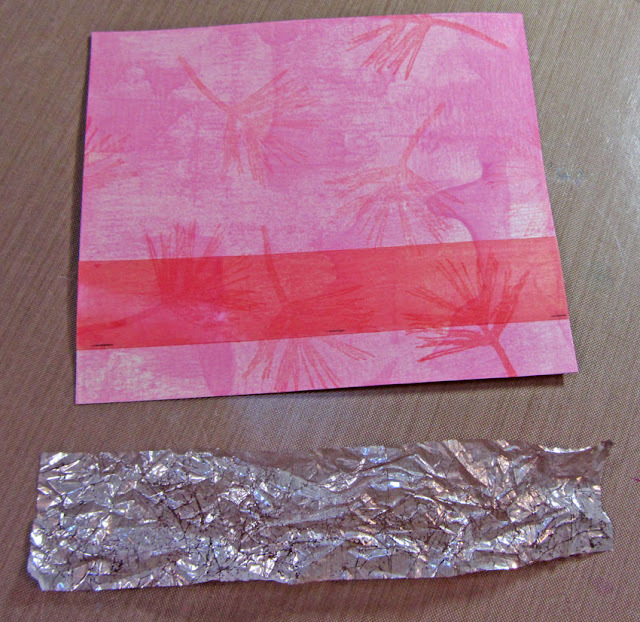 I hope you've enjoyed today's post and that it's inspired you to play with foil!!! 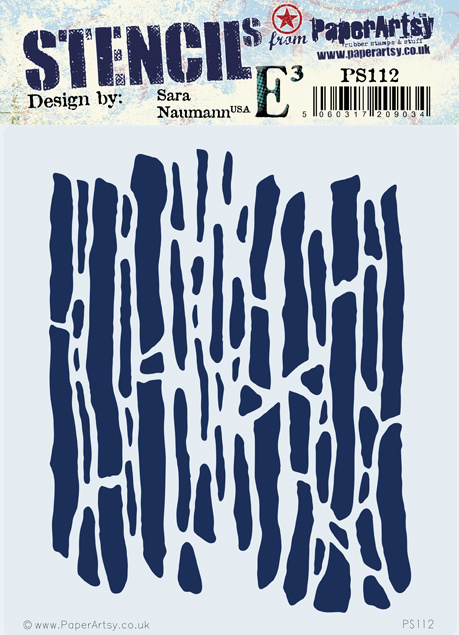 I really love this stamp set from Sara's newest release!!! If you get a chance to make a foil creation, be sure to link it up in the foil intro post. I'd love to come see what you've created!!!! Thanks so much for following along!!! The shimmering foil effects give a great festive touch to these cards - lovely work with Sara's fab new stamps. My... lots of experiments! Gorgeous Christmas cards, Wanda. Fab experiments Wanda, very effective on the vellum. What a brilliant post, Wanda! I love your experiments and the ideas you have given us, and your final cards are beautiful! Wow...I love these Wanda. Perfect for Christmas. Beautiful cards Wanda, and great techniques too! 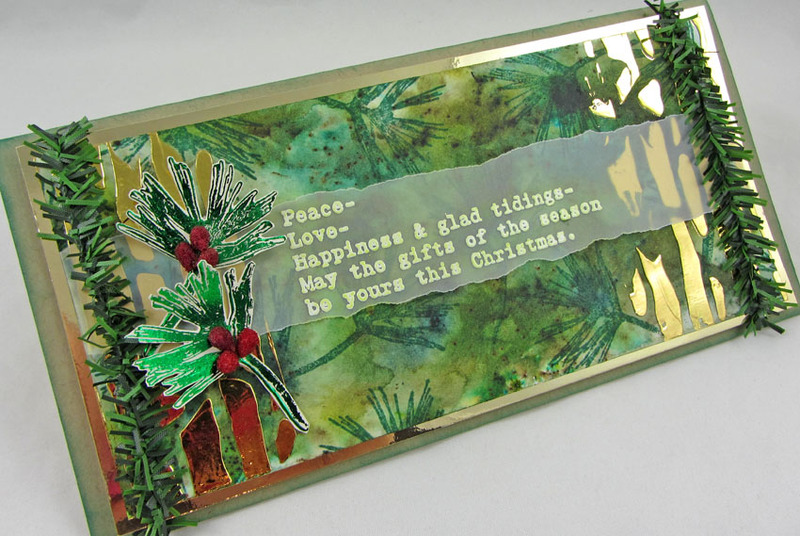 Fabulous inspiration, love the idea of the foiling with the stencil and gel paste. Thank you for all your wonderful and creative ideas x.